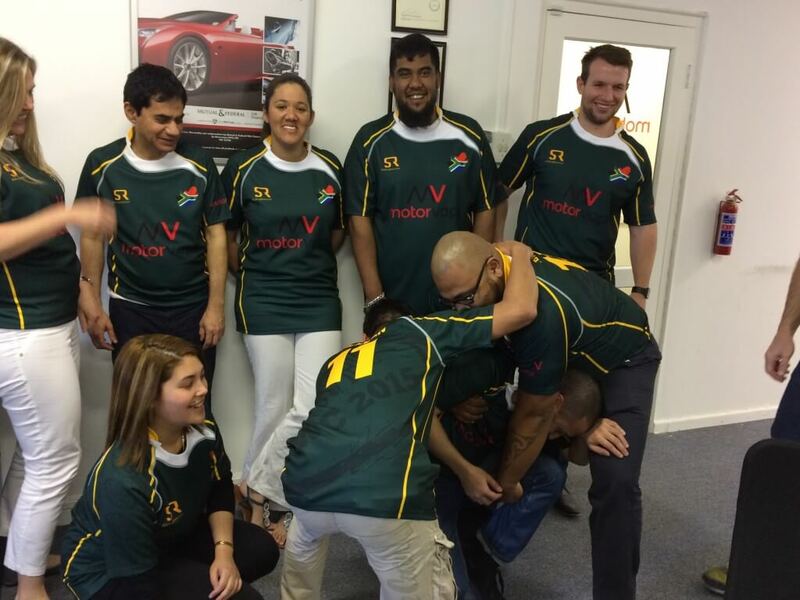 It’s the Rugby World Cup and the team from Motor Vaps have got behind the Springboks and created a masterpiece. How awesome is this custom rugby shirt to show their support? Bok Friday is a concept where the whole of South Africa show their support for their national sports team by wearing something Green and Gold, the official colours of the Springboks (our national rugby team). With a sublimated rugby shirt it’s a blank canvas in terms of what you can create – ever thought of combining your corporate colours and official national colours into one jersey? Complete our get a quote form with your jersey creation idea and show your team your support. The Supporter Shirt idea can also be extended into corporate team building events. Stud Rugby now offers the full spectrum of custom T shirts, Golf shirts and Vests so get in touch and let us kit you out.